Ideal for painting large areas. 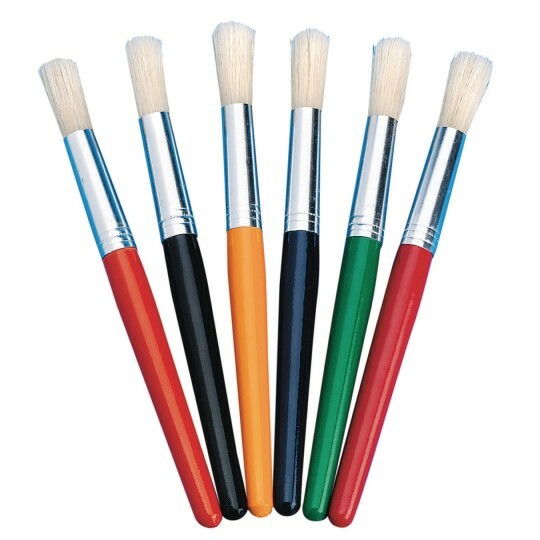 These brushes are used for preschool art. They are very sturdy colorful and easy for the children to use. We use these in our preschool room. 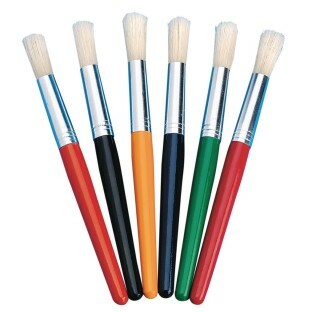 They are the right size for our preschool children for all their art crafts. we have used these inside and are excited to use them outside soon. when painting some bristles did fall out when painting but not nearly as many as our other paint brushes we have bought at the store.